Mobility and miscellaneous items for the general public such as baby monitors, full-spectrum lamps, medication reminders, and home emergency alert systems. 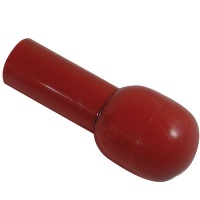 1/2 Red Europa Mushroom Rolling Cane Tip. 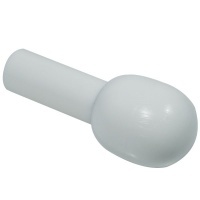 1/2 White Europa Mushroom Rolling Cane Tip. 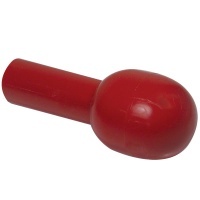 5/8 Red Europa Mushroom Rolling Cane Tip. 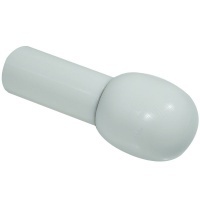 5/8 White Europa Mushroom Rolling Cane Tip. 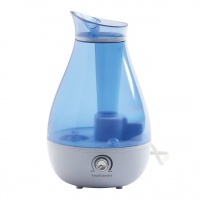 This attractive, modern-looking humidifier with translucent-blue, water tank top and white base will look at home in any room. Its user-adjustable Mist Regulator Dial controls the amount of cool mist flow from Minimum (up to 24-hour run time) to Maximum (up to 10-hour run time) output. "Cool Mist" and "Ultrasonic" means: there is no hot water or steam to endanger children or pets; whisper-quiet, more economical operation; and no costly filters to maintain or replace. 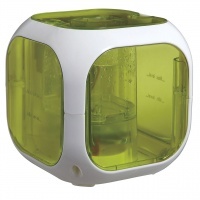 A run-time of up to 24 hours, an antimicrobial water tank, adjustable mist flow, built-in nightlight, and auto-stop when empty, make this humidifier an excellent choice. 1) Use clear, cool tap or filtered water. Distilled water is recommended if you wish to reduce any fine dust that may result from the dispersion of water's natural mineral content. Do not use hot water. 2) Do not operate on wood or other water-sensitive surface, as condensation may occur. 3) Do not direct water vapor flow towards furniture or electrical appliances. 4) Follow all Safety and Cleaning Instructions as specified in the User Manual. Dimensions: 7 in. x 7 in. x 12 in. 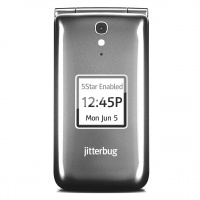 What makes this Jitterbug Flip cell phone the best choice for seniors and beginners (what the kids call "newbies")? 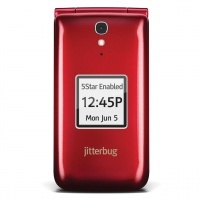 The Jitterbug Flip cell phone was designed specifically to be a simple, affordable cell phone for seniors and others with little, or no, cell phone experience. While other phone companies try to outsmart each other by developing fancy-schmancy bells and whistles that the typical person will never use, the Jitterbug Flip is fully focused on being easy to see, easy to hear, and easy to use. It's not overloaded with complex hi-tech that would make it unnecessarily complicated. There's no swiping, no tapping the screen, no cryptic icons, and no confusing navigation -- after all, its job is to be a phone, not an interstellar rocket ship. The Jitterbug Flip's super-loud speakerphone and amplified speaker ensure that you can hear every word spoken by your family and friends. 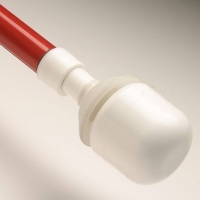 In addition, it even holds the highest available rating for compatibility with hearing aids (M4/T4). 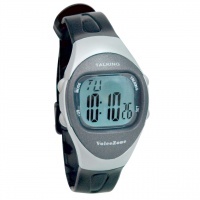 Best of all, when you flip open your new Jitterbug, you'll be greeted by a normal, familiar-looking dial pad. All of the buttons are large and easy to use. The large, backlit buttons are easy to see and easy to press, even with unsure hands, even in dim lighting. There are easy YES and NO keys and centrally-located up and down buttons. It's extremely intuitive and a breeze to use. The lower part of the sharp, color display screen has a handy "Command Area." This is where it asks you what you want to do. For example, if you are in your Phone List and the first contact is highlighted -- in the Command Area you will see the question, "Call?" Then you simply press the YES or NO key. The phone has a built-in tutorial available whenever you need some help. In addition, friendly operators are available just by pressing the "0" button. They will even dial a number for you, just like those old-time switchboard operators back in the day. 3) MedCoach - sends friendly reminders to keep you on top of your prescription schedule. Internal Display: 3.2 in. color HVGA TFT"
Open Dimensions: 15.75 in. x 11 in. x 4 in. 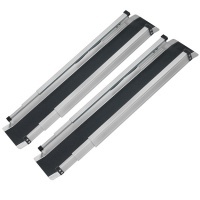 ; Folds to 2 in. 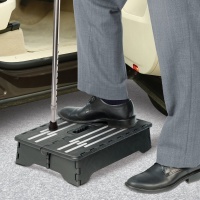 Jobar North American Portable Folding Step helps you get in and out of cars with ease.